Sick and tired of dealing with all the old junk and clutter in your home or place of business? Looking for a solution to this problem? Well don’t worry my friends, I have the perfect remedy to your junk issues you’re dealing with. If you live in Harnett County then your problems are already solved. All you have to do is contact The Stand Up Guys Junk Removal Crew, and they’ll take are of the rest. The Stand Up Guys Junk Removal Crew offers our hauling and removal services to all of Harnett County and all it’s awesome cities. We offer wonderful customer service, top notch pricing and an overall service that is unmatched by anyone else. We’ve gained the amazing reputation with Harnett County of the years because of all that we offer. 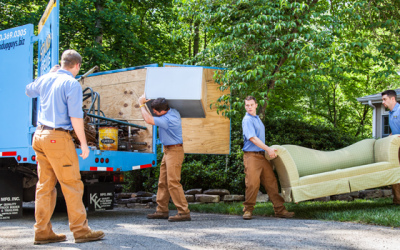 If you need to get rid of something as small as a couch or a refrigerator, or need something as big as your entire garage cleaned out, or yard cleared, The Stand Up Guys can help. Big or small, we manage all your junk removal and hauling needs in Harnett County. Harnett County is one of North Carolina’s largest and most populated counties with well over 100,000 residents that call the great cities of Harnett County home. Harnett County is one of the few that make up the awesome Raleigh-Durham-Chapel Hill Metro Area, otherwise known as the Research Triangle. Harnett County was formed way back when in the mid 1800’s. The county was named after an American Revolutionary war soldier Cornelius Harnett, who was a pretty big deal back in the day. People have been in the Harnett County area long before it was given the name though. There were Scottish settlers here as far back as the early 1700’s.